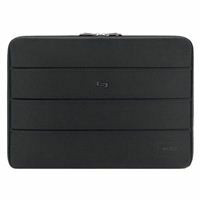 Solo Bond Sleeve with fully padded 15.6' laptop compartment. Checkfast design allows you to pass through airport security faster. Scratch resistant lining. Lightweight construction. 11.25" x 16" x 1"